Quite a few Hibs supporters I know seem to have a soft spot for Newcastle United. Maybe it’s an East coast thing but I can’t claim similar, quite the contrary. It’s probably partly to do with them unfairly ejecting Nottingham Forest from the FA Cup a lot of years ago when Forest were giving them a beating at St James’ Park and their fans invaded the pitch and physically attacked the Forest players. 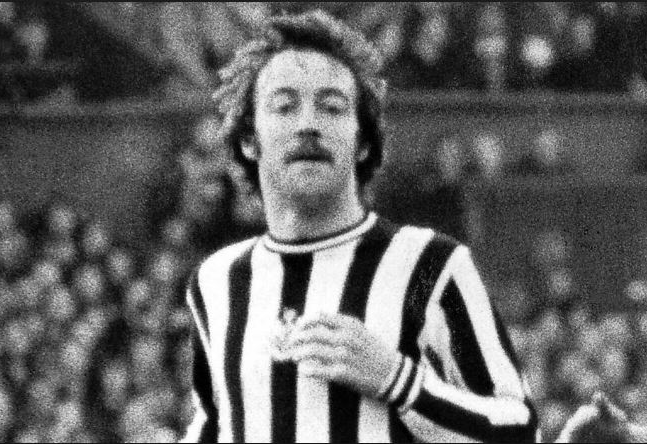 A story from a local radio interview this morning with Frank Clark, highly decorated Forest full-back and former Newcastle player therefore seemed extra funny. 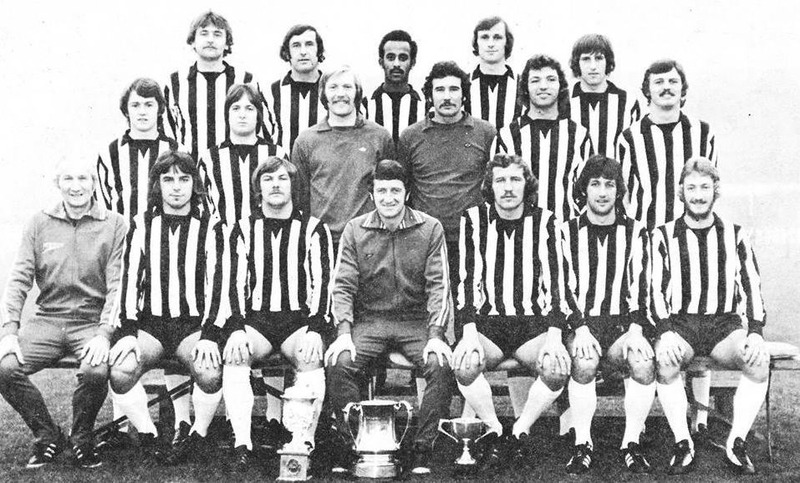 Frank mentioned a coach at Newcastle in the early days who’d organised a training session where the first team would play a ghost team (an imaginary eleven). This particular day they tried a different version using dustbins as the opposition – the ball came to Frank and he passed it back to the goalie, Gordon Marshall. Unfortunately, Gordon was sorting out his cap and gloves at the edge of the goal and Frank’s pass went straight past him and into the net. The coach was furious and abandoned the game – the dustbins had won! NOTTINGHAM FOREST BOSS, Philippe Montanier’s reign of just seven months ends making the club increasingly rudderless. Perhaps surprisingly quoting Churchill, the Frenchman departs with the words ‘Success is not final, failure is not fatal: it is the courage to continue that counts’. Poignant words for us all to consider. Montanier evidently made a few mistakes but he is a decent man of honour and one with considerable experience and success. Crucially, I don’t believe he was allowed to run his own team due to the meddling of crackpot Chairman, Fawaz. This was most spectacularly seen when Scotland starlet, Oliver Burke, was offloaded to Red Bull Leipzig for £13M and replacing with very little – despite promises to the contrary. His leaving mirrors the departure recently of John Sheridan, from Notts County – another good football man and talented manager, also after seven months. Is anyone else utterly bored stiff with the stupid and pointless managerial merry-go-round that is professional football these days? 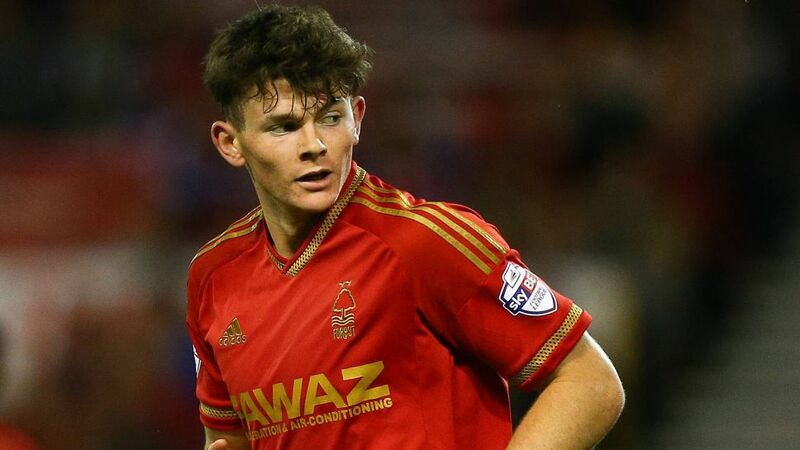 Oliver Burke, is a promising winger who has spent his fledgling football career at Nottingham Forest, recently breaking into the Scotland international ranks at just nineteen years old. Yesterday, he was sold in a shock move to German club, RB Leipzig for thirteen million pounds – despite the fact that he has played only twenty-five times (six as sub) for the Nottingham club. As an aside, the club’s Manager, Phillippe Montanier apparently received very recent reassurances from Forest Chairman Fawaz Al-Hasawi that the player would not be sold as the transfer deadline approached. Those reassurances clearly mean little when coming from Mr. Al-Hasawi as has been noted previously. It’s my view that although it appears on the one hand ‘good business’ selling such an inexperienced player for such a vast sum, it is though pretty depressing for fans of any club outside of the elite – and Forest are a good, sizable and well supported English Championship club with a fairly glorious history – to know that as soon as clubs outside of that elite unearth or nurture a good prospect, it’s a very short journey to losing him to a bigger club, often as a mere bench filler. I don’t think anyone is blaming the player or players and it can be levelled that every footballer has his price but then, so does every fan of every team have the choice of walking the other way when they’ve had enough. Football shouldn’t just revolve around a tiny favoured group of elite teams as it now does. We may as well just produce a generation of Sky TV watching Barcelona fans and be done with things. It’s an interesting comparison that can be made with North American professional sports. Contrary, arguably to the political complexion of that continent, top sports are run on a more egalitarian system, i.e. the NHL and its draft system which allows teams to rebuild from the ground up by receiving first choice on the top young players emerging into senior ranks and therefore with astute trading and team building becoming competitive. I think it works well. Our football though is run on purely selfish and greedy lines which do not serve the majority of fans but rather entertain business first and foremost instead, often to the detriment of the supporters. The most important factor is the health of any sport itself and to think otherwise is short-sighted. I’ll go further to say that the most important part of a sport is its fans – a much outdated concept I know these days. Unfortunately, the governing bodies in British football don’t behave in a way that suggest they understand or care about that. The first player that came instantly to my mind was one that many will not have heard of. Bobby McKinlay was a Fifer from Lochgelly in Scotland who was associated with Nottingham Forest between the years of 1951 and 1970. Over those years, Bobby made 614 appearances for Forest, his only top class club and scored nine times. Bobby, though uncompromising enough on the field of play, was a gentleman on and off the pitch and was renowned and loved at the City Ground for that. Young supporters were always, in particular, treated well and kindly by Bobby, him making sure they all got team autographs and bringing treats to share out among the kids when they would gather after Forest training mornings for signing sessions in the club car park. After retirement he became an officer at the local Lowdham Grange Borstal in Notts, where his even-tempered and understanding way with young people brought him great credit in his new career. 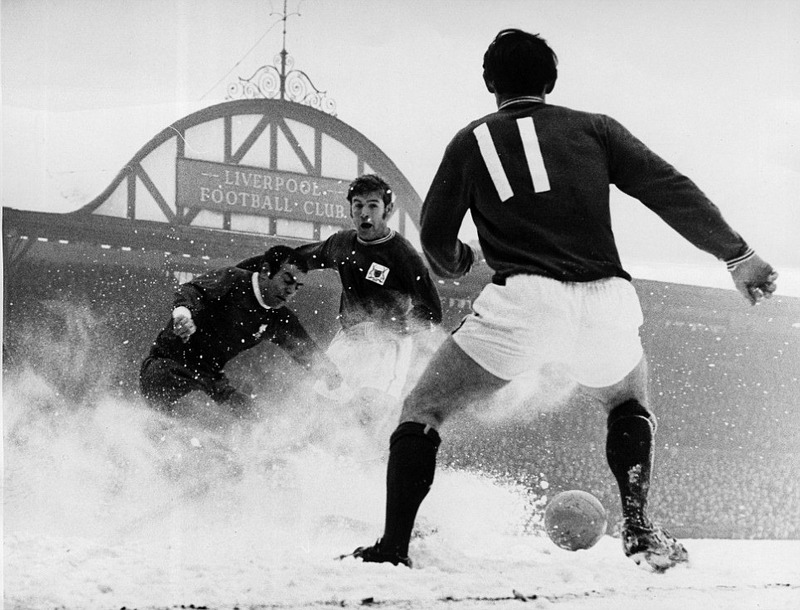 Though playing at centre half, Bobby wore the Garibaldi red fully 439 times before being even booked. The irony is that it was after being pulled up for a foul on an Arsenal player and booting the ball into the crowd, a player by the name of Joseph Henry Baker – a dynamic centre forward who not long afterwards became his teammate at the City Ground starring in a terrific tilt at both the league title and FA Cup, both of which were punctuated by Joe’s lightening quick, exciting forward play, littered with goals and much adulation. When I think of loyal football players, yes, I think of Bobby McKinlay who left the game of life in August 2002. Times have sadly changed but if there were only a few like him now. SO CURRENTLY, we have the world’s oldest league football club, Notts County negotiating stormy seas by way of the club being for sale and the team toiling somewhat in the lower reaches of League Two, it’s play-off hopes diminished to a practical state of no return. Unpopular Chairman, Ray Trew has been quoted as saying that ‘oh so brave keyboard warriors’ and their comments on social media about him and his family have finally drawn the conclusion that he wants out – at a price. On the opposite bank of the River Trent, Nottingham Forest flounder listlessly mid-table with perhaps greater concerns over the ownership of the club than on the pitch. My understanding is that £70m is still owed to former owner, Nigel Doughty’s estate and that a sum in excess of that is owed to the current ownership in loans. I stand to be corrected. Court appearances for non-payment of debts are now becoming a way of life for the City Ground club with the latest set for March 14th for an unpaid tax bill. Only last week Forest were in the media for late payment of their staff which chairman Fawaz claimed was due to a Bank Holiday in his home country of Kuwait. In addition to this, the club still find themselves under a transfer embargo with no guarantee of emerging from it at the end of the season, or if they do, to no great avail. On the pitch, Notts County have a huge squad of players, particularly at that level of football, who have underperformed and not gelled by all accounts. It would be easy to suggest that it is a case of ‘quantity not quality’ but the truth is that the club acquired some useful signings for this campaign. They have though shipped goals consistently throughout the season and are now struggling manfully under new manager, Scot, Jamie Fullarton’s stewardship. 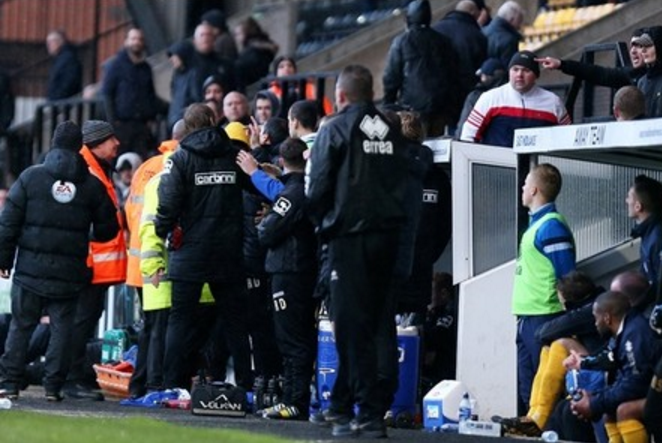 The ex-Forest coach is arguably the least popular manager in County’s long history whilst the atmosphere at Meadow Lane is absolutely poisonous. Forest’s quite recent unbeaten run, characterised by many uninspiring draws is now a memory and the support appears increasingly unhappy and disgruntled about manager, Freedman’s cautious ‘style’ of play which encourages teams to come on to them and take majority possession of the ball whilst the Reds sit back and wait for a break. This is clearly not Nottingham Forest football. Back at Notts and one thing about this whole sale matter that appears to have emerged is that although chairman Ray Trew claims it is personal abuse that has driven him out of Meadow Lane (and I have no truck with that) it appears emphasised that this kind of thing has become much more apparent since his appointment of Fullarton as Notts’ Manager which is a deeply unpopular decision among the support. We see from reports though that Trew was actually in negotiation with a ‘Danish billionaire’ before Christmas. to take over the club. Trew has done some good things for Notts County, especially initially when he basically rescued them from administration and possible oblivion and that should be recognised but his apparent arrogance and inadvisable decision making has since caused the club great harm. I do believe, for example, that a great number of the support have viewed the appointment of Fullarton as a ‘two fingers’ at them and this is one of the reasons for the angry ructions at Meadow Lane since. There is a huge gap between the ownership and the support causing a divided and aimless club. What’s more, I wouldn’t particularly trust Trew as far as I could throw him the way he is conducting business to sell the Magpies. Only when he finally leaves can that club turn a corner and begin rebuilding this great damage sustained. Hopefully a sale will happen sooner rather than later. What with the happenings on the black and white side of the local football community and Forest’s apparent inability or refusal to pay their bills on time and now the delayed payment of their staff due to a Bank Holiday in Kuwait. I have no confidence in the state of the way either of our city clubs are being run. I particularly felt for the rank and file staff at Forest, in ordinary jobs, waiting to be paid what they have earned last week. In Forest’s case I think the owners are beginning to make a fine old club look a little disreputable and it’s not good to see. On a practical note, potential signings for the club too will make themselves aware of what is happening in terms of the financial irregularities at the City Ground and be much less likely to sign for Forest. Sad stuff then from both sides of the Trent. Let’s hope both clubs can turn a corner at some point in the near future. WHILST HAVING no allegiances, I’m an interested observer of the local football scene and certainly both Nottingham clubs Forest and County find themselves in turbulent times once again, without a manager after various events over the past few days. Notts appear to be indulging their old ‘graveyard of managers’ tag while their counterparts across the Trent seem to be eagerly trying to relieve the Magpies of that title, now searching for their fourth manager in a ridiculously short period of time. Forest manager, Alex McLeish’s departure was very much on the cards after the debacle of last Friday’s transfer deadline day over prospective signing, George Boyd. If those events hadn’t been the catalyst it seems there would have soon been another trigger to a similar outcome at the City Ground. McLeish had refused to comment to the press last weekend making it obvious he was considering his future. I’ve no sympathy for McLeish, arguably a despicable character at best it seems and one who shafted my own club, Hibs royally, but the new Forest owners really do take the biscuit. The problem is that the club were in a very vulnerable position after former owner Nigel Doughty passed away and the Al-Hasawi family who took stewardship of the club came along at an opportune time. One of the first things we heard about them in Nottingham was that they were going to bring some players for ‘trials’ with them from Kuwait when they came to the club. For me, the writing was on the wall right there. They appear to know absolutely nothing about football but behave as though they do – a bad mix. After the Al-Hasawi family claimed they were going to bring in an ‘iconic’ figure as the new manager they brought in the relatively modest Sean O’Driscoll – a good football man, respected by many who seemed like a very good, sensible and pragmatic choice. He was not the big name manager they had promised though. McLeish turned them down at that point too. O’Driscoll was popular with the Forest faithful. Progress was steady and inconsistency somewhat prevalent however I believe a majority considered that he should be given time to build the club up. I certainly did. It appears that the large egos and ignorance of the Forest board led to them severing O’Driscoll’s contract to bring in their ‘big name’ and to push forward their game plan from one of consolidation and steady progress to ‘ensuring’ promotion. Forest have a large squad which friends who are regular attenders tell me is ‘much of a muchness’. There is arguably little in the way of Premiership class within that large squad. In the meantime, the owners ‘fiddle while Rome burns’ spending money on two unwanted large screens for the City Ground and nothing in the way of players. McLeish will surface out of this, reputation intact as he always does. I feel that Forest have much more major turbulence ahead though. 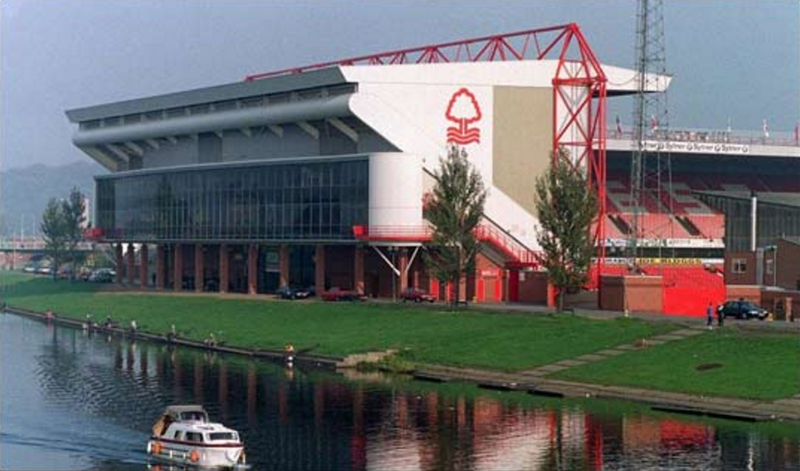 It’s been many a long Winter since I’ve ventured into the environs of Nottingham Forest’s City Ground for a game. So long in fact that on my last visit, Forest were in their pomp and nigh on unbeatable under Brian Clough and Peter Taylor. It was with curiosity then that I ventured back, Trentside after so long away, being keen to take in the many changes over the years that would inevitably be evident. My friend and I parked up early and some way from the ground in the ‘enemy territory’ of Meadow Lane – close to the home ground of Nottingham rivals Notts County. As we walked over River Trent via the Lady Bay Bridge it reminded me of the days when there was little to call between each of the two club’s teams. That was before Brian Clough and Peter Taylor came along and indelibly left their mark on Nottingham history.